Emperor’s College is pleased and excited to announce the introduction of “Concentrations” into its master’s degree curriculum. Concentrations are much like college minors, but on steroids! Concentrations give Emperor’s students a way to organize a combination of classroom and clinical experiences around an area of interest. Emperor’s College is committed to providing not only an excellent and robust Traditional Chinese Medicine (TCM) curriculum, but also exposing our students in substantive ways to the wealth of healing wisdom provided in other Oriental medicine traditions. As part of their required general program of study, all students are exposed to acupuncture, herbal medicine, western medicine, and other areas. Almost without exception, students will find themselves drawn to one or more particular styles of acupuncture/Oriental medicine and wish to study it more deeply in both the classroom and in a clinical setting. Students are not required to participate in the concentrations program, and not participating does not mean they cannot take many of the classes offered in the concentrations. Students that have been accepted into a particular concentration area, however, are given priority registration for courses and clinic hours with a supervisor from the chosen concentration area. Upon completion of the concentration track and being conferred their master’s degree, students will receive special commendation. Most TCM/OM colleges offer one or two tracks that more-or-less equate to a concentration, Emperor’s offers five, utilizing a world-class faculty to do so. 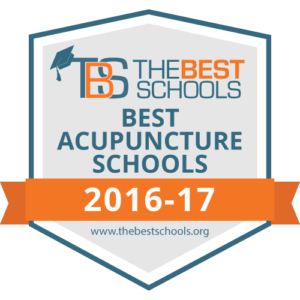 Students are able to apply for one or more concentration in Classical Acupuncture, Korean Acupuncture, East West Nutrition, and Nei Gong. The Nei Gong concentration is comprised of tai chi, qi gong, and meditation offerings. Emperor’s college is unique in that it is the only college of Oriental medicine in the country that offers a nei gong “internal cultivation” component that includes all five major styles of tai chi and several qi gong forms. Emperor’s College is committed to providing substantive educational and professional opportunities to its students and alumni that cannot be experienced at any other TCM or OM college. The introduction of the Concentrations is born of this commitment.